Preparing for a move may seem like an overwhelming process for the people who think of relocation to the other place. Moving or relocation is very hectic and expensive as we all know. 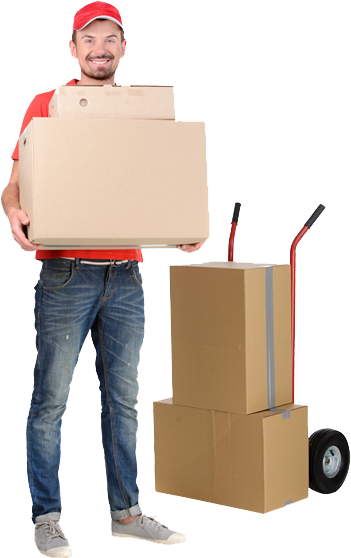 People face the hard time to find the moving company that suits the requirements. Finding the most appropriate moving companies in Calgary can be a complicated process, it involves research and time that you just don’t have right now. Face it, we all have busy lives and spending hours gathering information on ten different moving companies can take weeks. What will make it easier ? Use ShaanMoving who are very professional, experienced and motivated. We not only have the man power but can also move specialty items such as cars, boats, pianos, etc. We can book your move in advance. We want you to stay stress free while we do everything from packaging and moving to unpacking items in your new house. Call us now to get a quote. We will come look at the items and will give you the exact price, there will never be any hidden charges. We will also help you pack and unpack if that is what you decide to entail in your move. We don’t charge anything extra to deal with the repercussions of harsh weather like most other moving companies. We also provide insurance so you get guaranteed compensation in case anything gets damaged or broken. These moving tips may include a few things you hadn’t thought of, or things you just need to be reminded of. Forget that safe deposit box, for example, and you may have to drive a long way to get at it. Ten more moving tips follow. Get rid of things. Consider carefully what you need to keep. People spend hundreds of dollars to move things that will undoubtedly be thrown away some day. It’s not just a matter of the expense, but the hassle too. Moving time is the best time to get rid of the things you really don’t need. Have a yard sale. It’s a good way to get rid of those things, and you might even raise enough money to pay for the move. Use lists. You will forget things, especially if you don’t have a list or two. Start with a list of things to do before the move. It may include getting school documents transferred, filling out change of address forms, returning borrowed books and movies, transferring prescriptions, getting maps, and arranging utility shut offs and start ups. Make the the moving company reservation a month ahead. You wouldn’t want to find out they are booked up on the date you need them. Pack early. It’s hard to say how long it will take until you are doing it. Start early to avoid running around looking for boxes at the last moment. Have an “essentials” box. This will have things to make your arrival easier, like toilet paper, paper plates, soap and such. Pack the box where it is easily accessible. Check weather reports. It’s no fun arriving in a snowstorm with your coat packed away somewhere. Allow for extra moving time if the weather is going to slow down traffic. Notify family and friends of your new address and phone number(s). Do this before you have the phone shut off. Save your receipts. Save receipts for moving expenses, like gas, hotel rooms, and anything else related to the move. Then ask your accountant or tax preparer if you are eligible for a tax deduction for moving expenses. Try to re-establish your routines quickly. It helps to quickly re-establish routines in your new home, so if Friday night is movie night, don’t break with tradition. Moving is less traumatic if you have some consistency in daily life. If you are moving with children, this may be one of the more important moving tips.